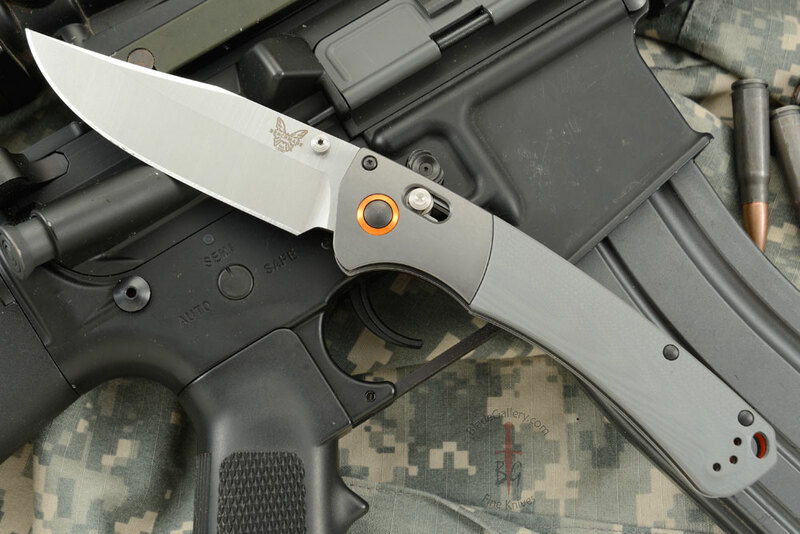 The Crooked River pushes the preconceived notions of what a hunting knife should be. It combines traditional shape with modern technology for a simple, yet beautiful piece that will perform just as well. 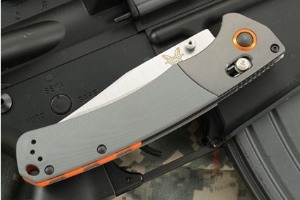 The four inch clip point blade is made from CPM-S30V stainless steel. 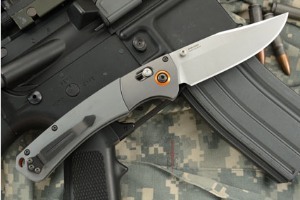 CPM-S30V is an American-made and developed premium grade stainless steel created especially for knives. It is a powdered metallurgical steel with a uniform carbide distribution and clean steel properties. This gives the blade superior corrosion resistance, toughness, and edge retention. 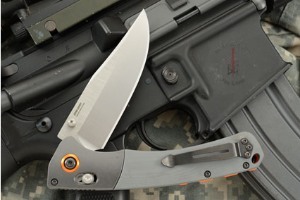 Gray G10 scales sit on stainless steel liners and match well with anodized aluminum bolsters. An orange backspacer and pivot ring add a nice accent. 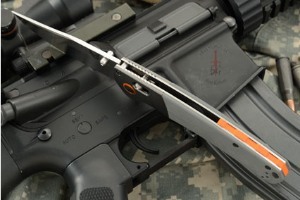 Includes a reversible, black split arrow clip that is mounted for tip-up carry.